I was looking for a new accommodation to stay and possibly review. 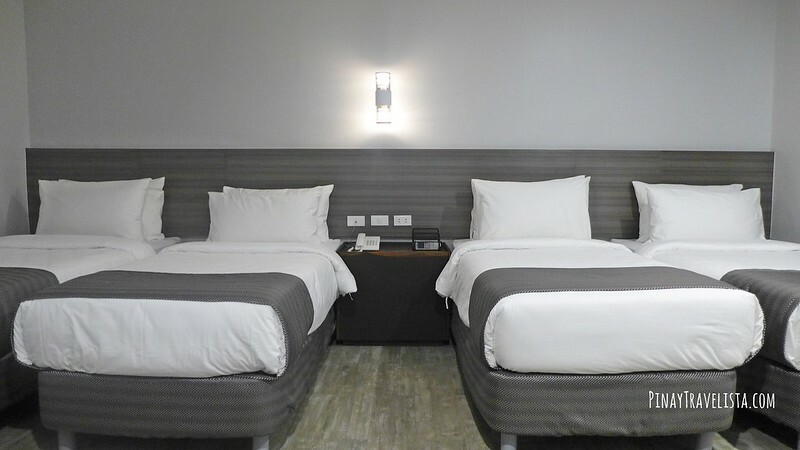 My frequent travels and overnight stay at Cagayan de Oro are also great time for me to try out different accommodations when I can. A new accommodation, 1A Express Hotel, that has recently opened in Cagayan de Oro has been catching my attention for a quiet a while now. With Cagayan de Oro being where most provincial government offices are found, and best medical facilities in Northern Mindanao, I found myself travelling from my hometown, Iligan City to do some personal errands and do my medical check up as well. I was planning to stay there for a few days, just enough to finish my medical check-up, and the other things I need to get done. I decided to stay 1A Express Hotel for this visit, and check out if the room does live up to its hype. 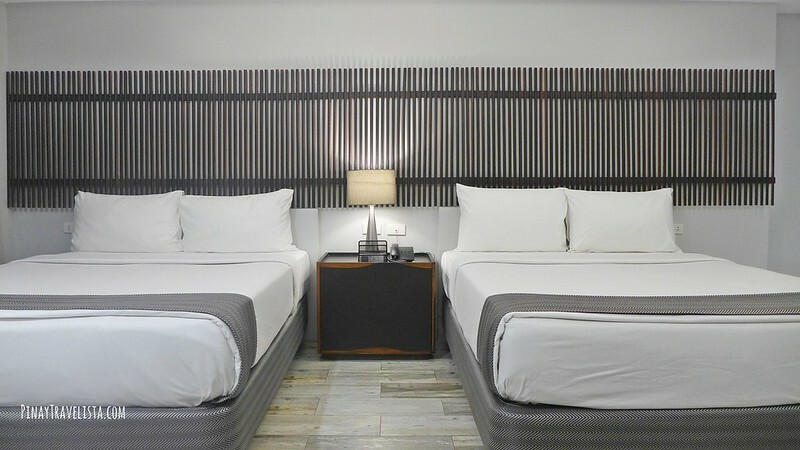 1A Express Hotel is one of the newest hotels to open at Cagayan de Oro. 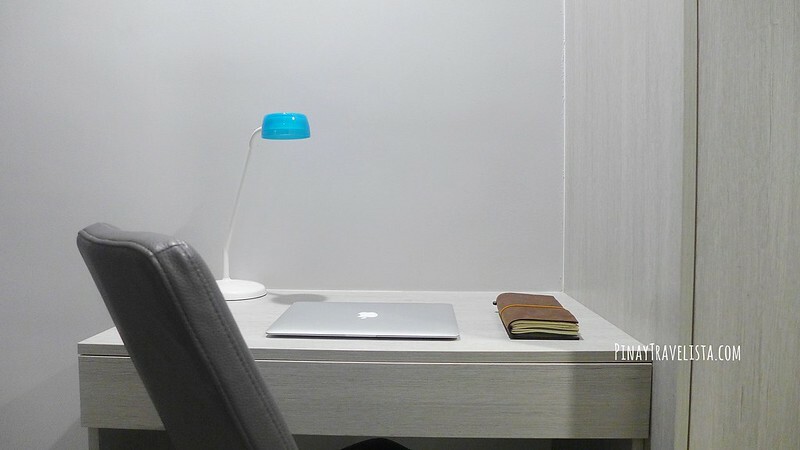 It caters to business travelers, families, and people on the go. It is located at the busy and accessible C.M. Recto Avenue, Cagayan de Oro City. You can easily spot it right after Ayala Centrio Mall if you’re coming from the airport. It has parking upfront the building, and taxi is easy find. Within the vicinity are large shopping malls, food establishments, and two airport transport services within walking distance. 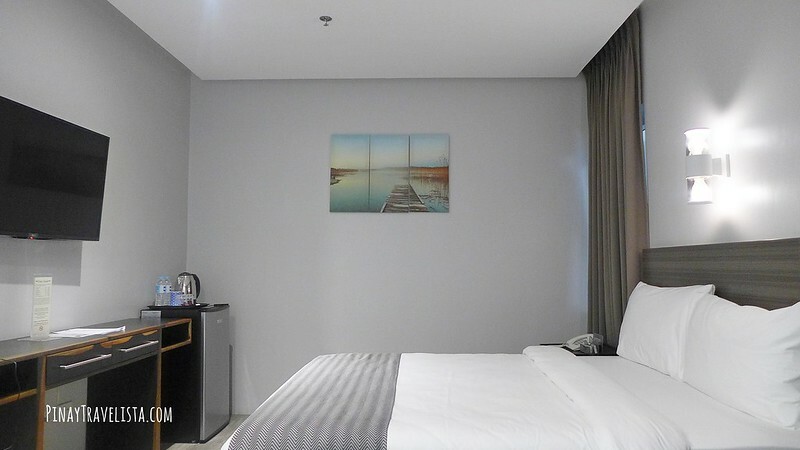 I stayed at Superior Room with a standard size double bed in a spacious room. 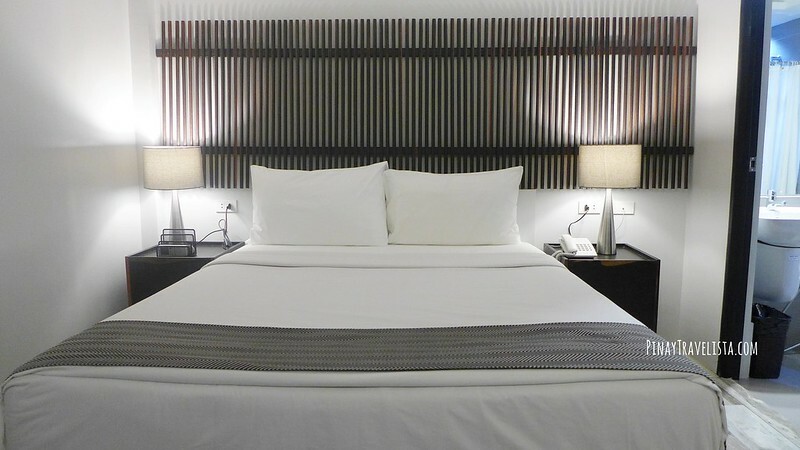 The room has a minimalist design sticking only to white, grey, and brown in the colours used. You will find burst of blue in accessories which I find charming as it sticks the hotels identity. It has a minibar with free bottled water, and coffee pack/s. There’s also water heater besides a mini refrigerator in the room for use. It has a full sized wardrobe with generous clothes hanger which I was happy about for someone who hangs all her clothes up and reduce wrinkles. Inside it is a safety box, bedroom slippers, and laundry bag. The rest room and shower mirrors the room with its spaciousness. The toilet with bidet is of good size, and would suit even those tall people. I must say the shower and its constant water pressure, and temperature is worth a mention. It’s one of the reasons why I would stay in the hotel again – next to the bed that is. I found myself warmly welcomed by the staff. They were very accommodating and made sure my needs were met, and my questions answered. I don’t always ask my room to be cleaned if I’m staying only for a few days, but I wanted to check how fast the staff could clean the room and how quiet they are when doing so. I was happy to continue working while they were cleaning up my room, and also changing my sheets. Breakfast was served at the Breakfast/Function Hall at the top floor. 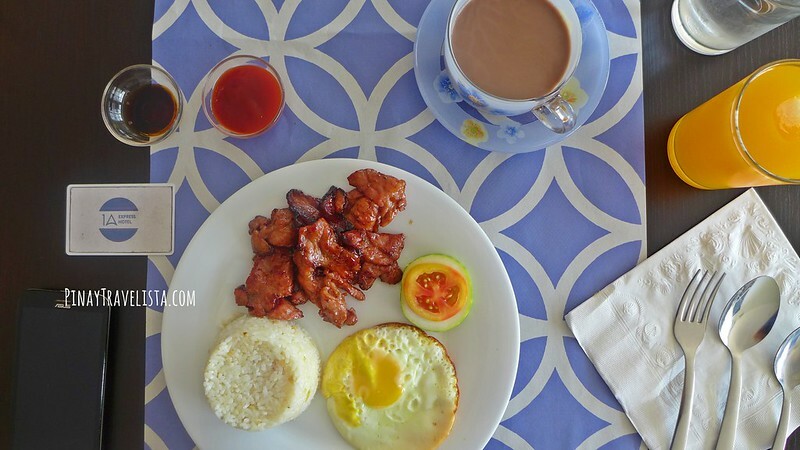 Breakfast starts at 150PhP, and 250PhP for full meals. Recommended meal is the Breakfast Special Chicken, and also Longganisa. 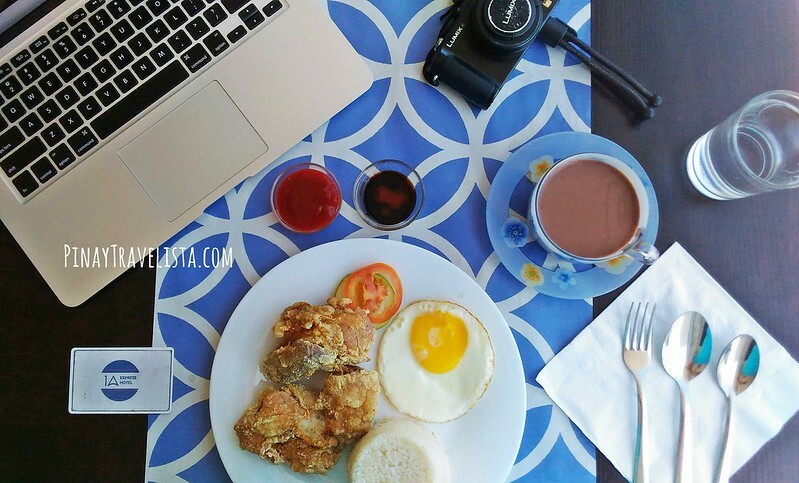 The breakfast comes with garlic rice, sunny side egg, and coffee or hot chocolate drink. Breakfast is served only until 10:00 AM so be mindful of your waking time. The area is also available for conference meeting, or mini events should you find the need to hold a meeting or event in the city. Within the 1A Express building, you will also find 1A Laundry Express, and and a Convenience Store at the ground floor that is available and open 24-hours/day. 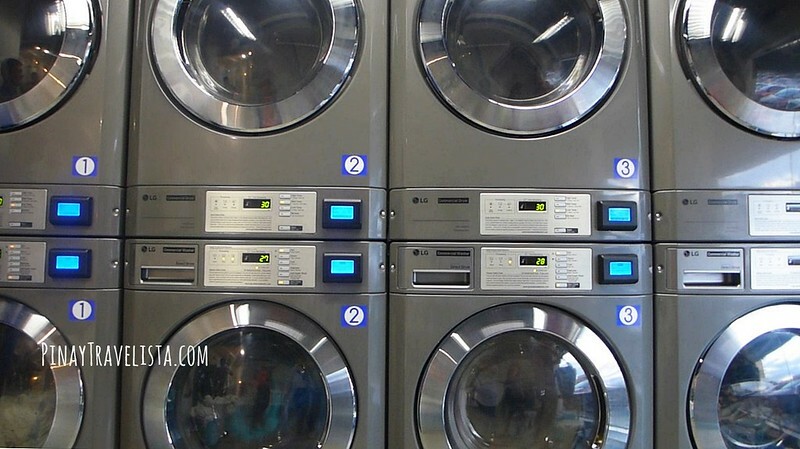 For those who plan to stay longer, and also do the laundry by themselves they can find a high-end but reasonably priced laundry area. 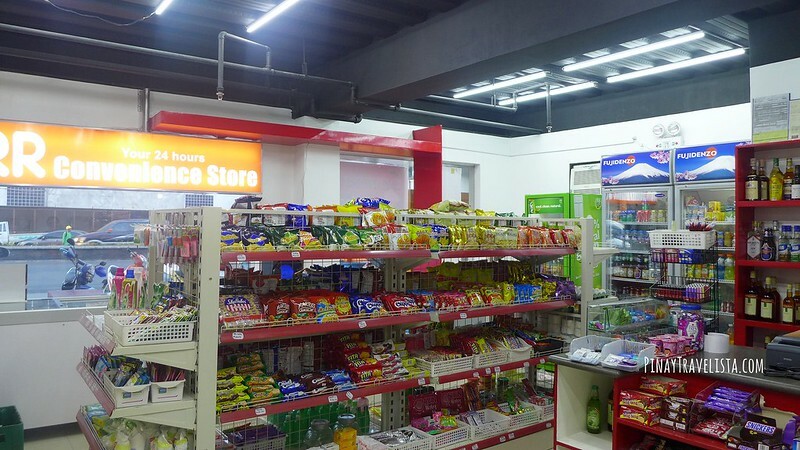 If you also find needing some necessities, the convenience store downstairs not only has snacks and drinks but also carry some necessities. You will find a salon for your beauty needs, and a Fish Spa to pamper your feet in the building as well. On the second night of my stay, there was a short power interruption to which the emergency light lit up the dark room. The hotel’s power supply had quick transition with back-up generator and lights were back again. 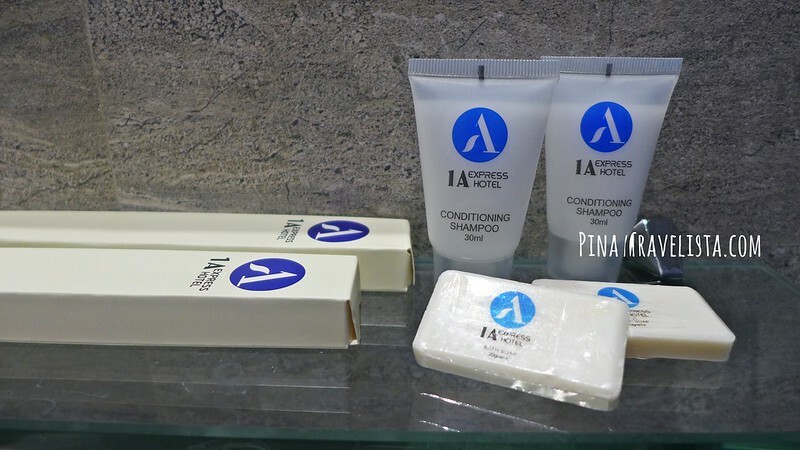 Also worth a mention, the hotel is a green and eco-friendly hotel using inverter aircondition, led bulbs, and solar power to heat the shower water. 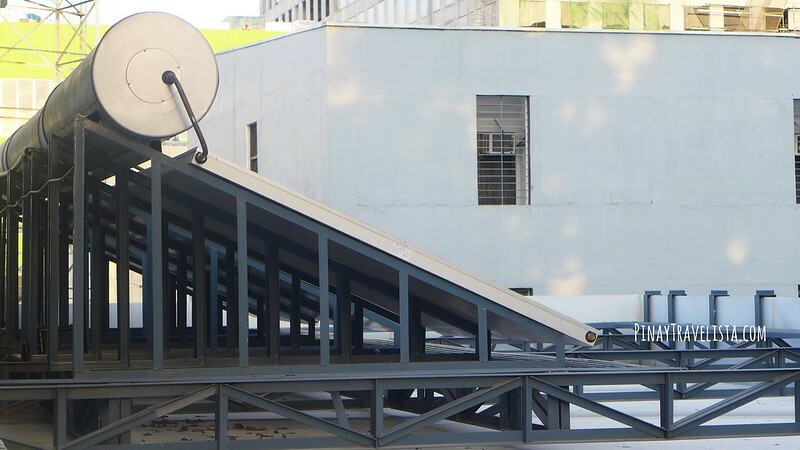 You can see the solar panels at the roof deck on your way to the Breakfast/Function Hall. 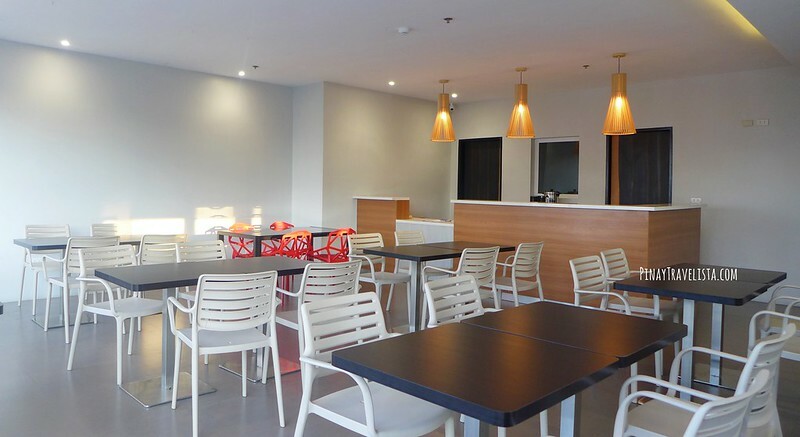 If you’re looking for a business hotel at Cagayan de Oro, you might want to try out 1A Express Hotel. Besides business travelers, the hotel is ideal for families, and group of friends. 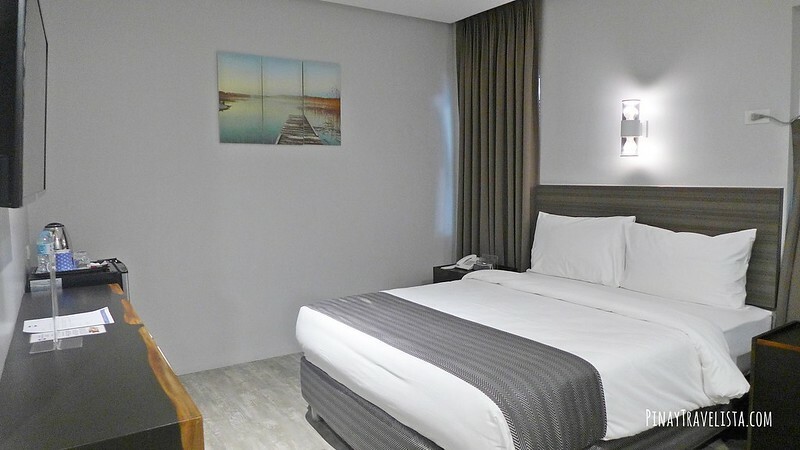 The room rates can be bit expensive for those who are looking for budget hotels. But I would say the room rates they have are worth the room, and service quality the hotel offers. They have rooms available for multiple guest: with 4 single beds, or a room with 2 queen size beds for a comfortable stay. The rooms are spacious even if there are more than 2 of you in the room. You can try calling the hotel or try checking out for discounted rates and book online via Agoda if they are running promos.